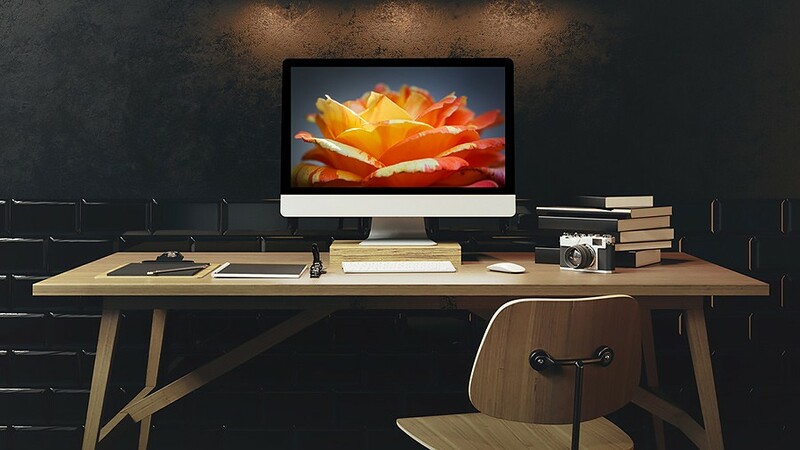 Open Lightroom CC on your computer. In the Library module, click the Import... button to open the Import window. Note: If you've inserted a camera memory card into your computer, the Import window may open automatically. 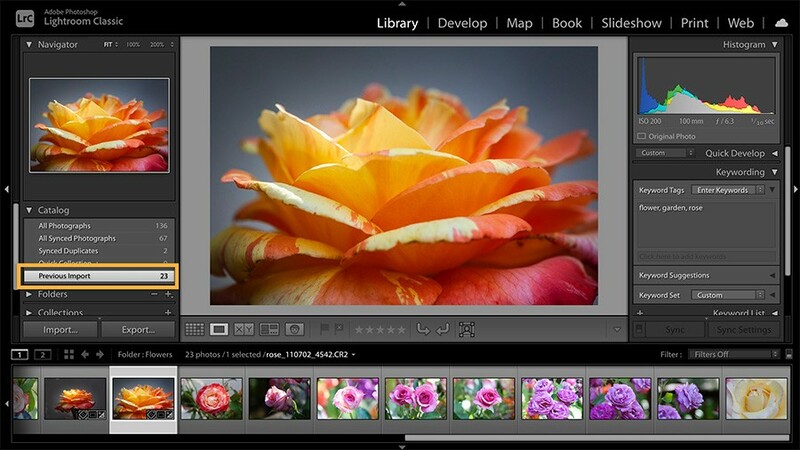 You can import from a computer, hard drive, or camera into your Lightroom catalog. On the left, select folder(s) of photos to import. If you don't see your photos, make sure Include Subfolders is checked. At the top, click Add to import without moving photos. You can uncheck photos you don't want to import. On the right, you can choose additional import options. On the left, select the camera card from which to import. You can choose to Eject (the card) after import. At the top, click Copy. The Add and Move options are not available when importing from a camera. On the right, in the Destination panel, choose how to organize imported photos (by date, into one selected folder, or by subfolders), and preview the import destination in your file structure. You also can choose additional import options on the right. Click the Import button in the bottom-right corner of the Import window to start the import. 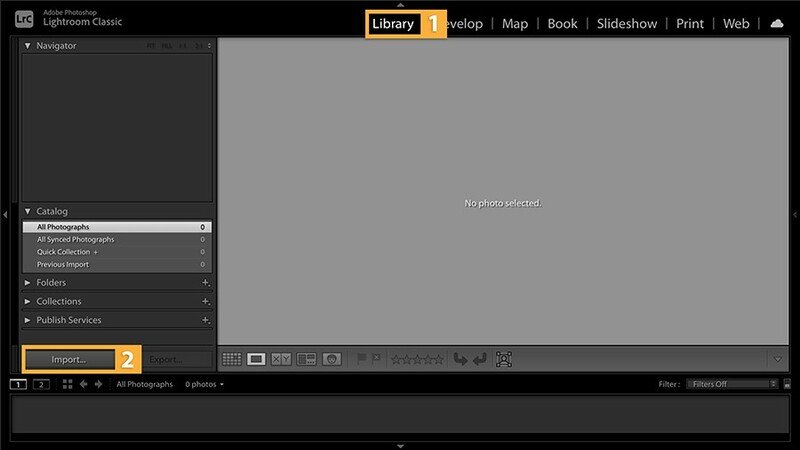 Lightroom automatically switches to the Library module, where the imported photos appear. 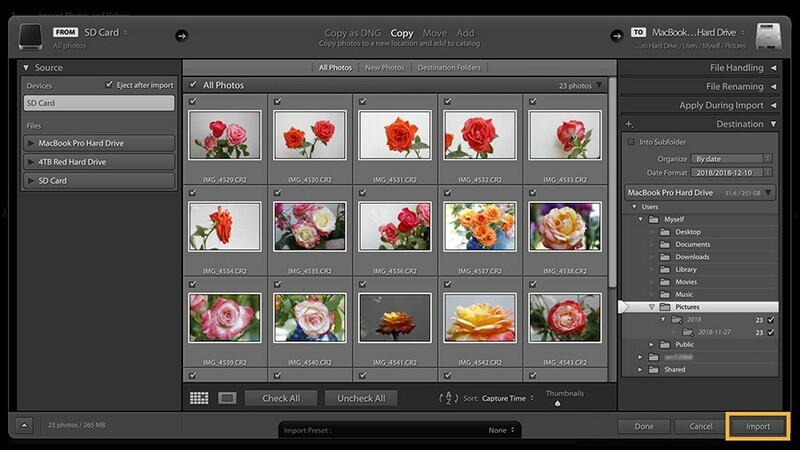 Once your photos have been imported, you can organize, edit, and share in Lightroom. 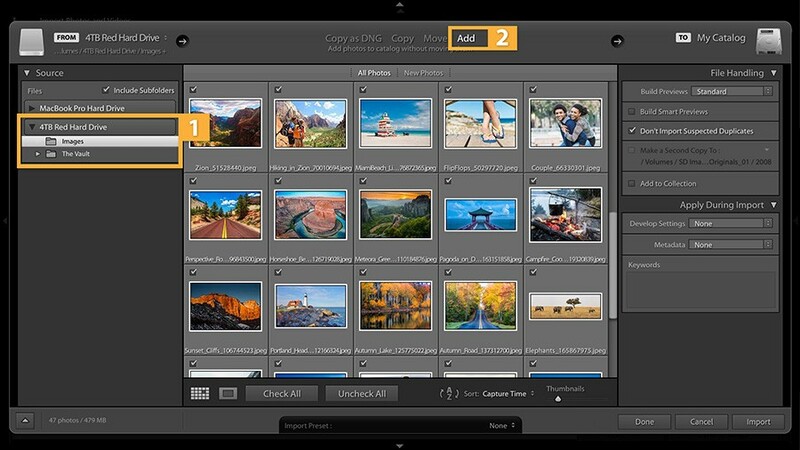 Create a synced collection so you can access, edit, and share your newly imported photos with Lightroom on your mobile device or web browser. 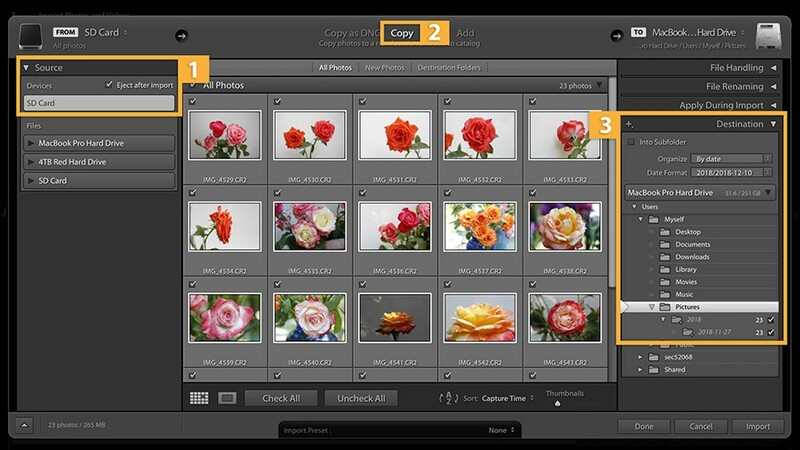 A collection is a simple way to organize your photos—like a photo album. Note: For first-time users, your newly imported photos will be automatically added to the collection "My First Collection."